Maine-Montparnasse, 2012. 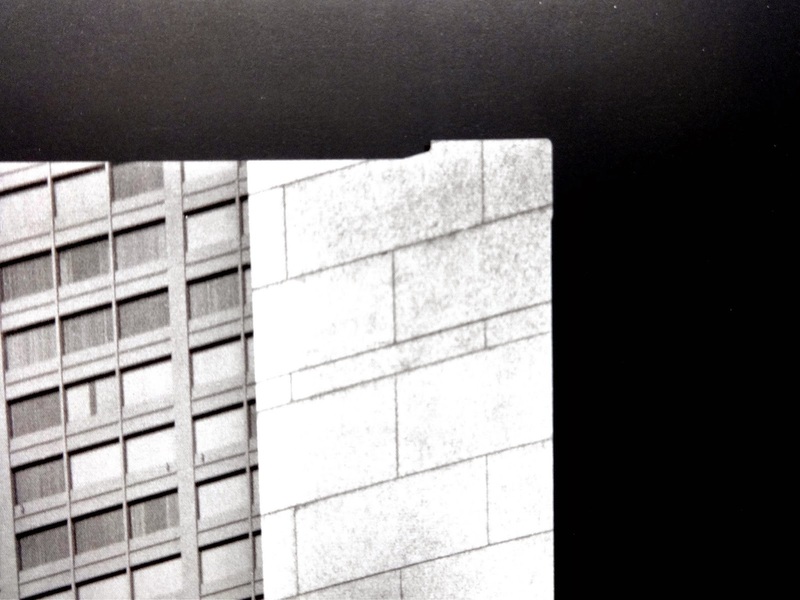 Every window and concrete strip cut from paper. Pavilion, 2012,inspired by the 1958 Brussels World Exposition. 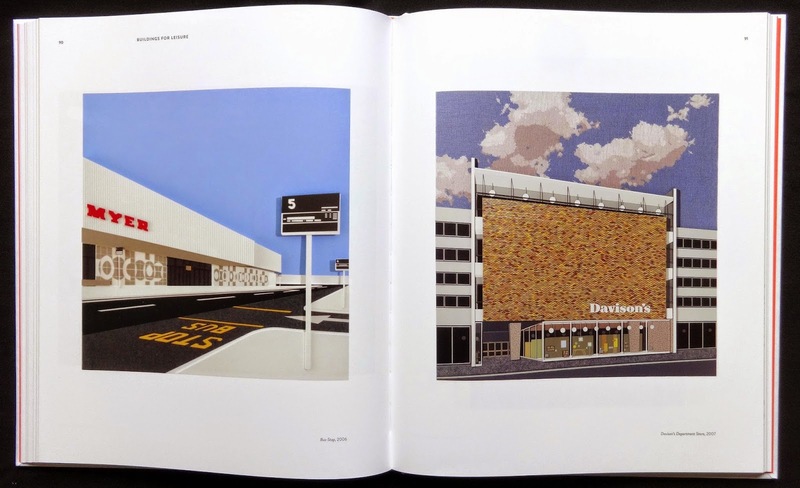 Flip through the pages and you'll think that Lucy Williams creates very flat, graphic paintings of modernist architecture but look closer especially at the edges and you'll see small pieces sticking out of the sides of the picture. The 'paintings' are in fact remarkably precise three dimensional collages made from craft materials: paper and card (obviously) balsa wood; wire; hardboard; colored plastic sheets; wool; cotton and other fabrics. I thought it interesting that these sort of soft materials are used to create hard edge works of art. 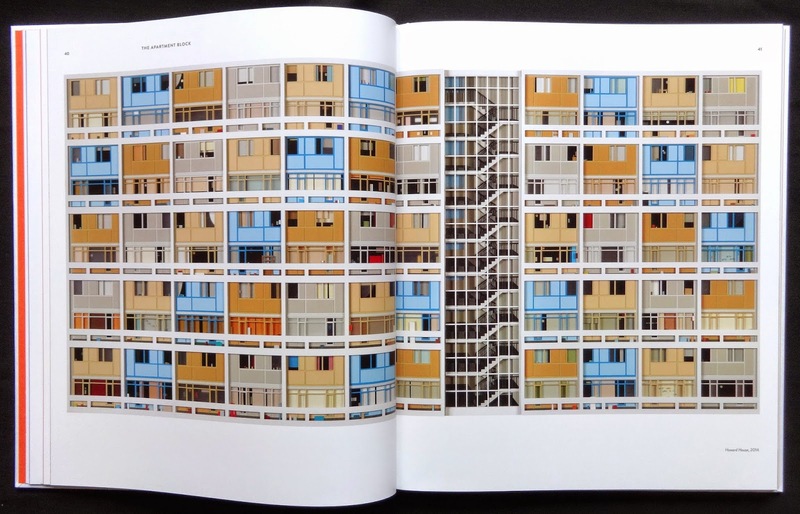 The ten chapters reflect a variety of modern buildings stretching back over several decades. 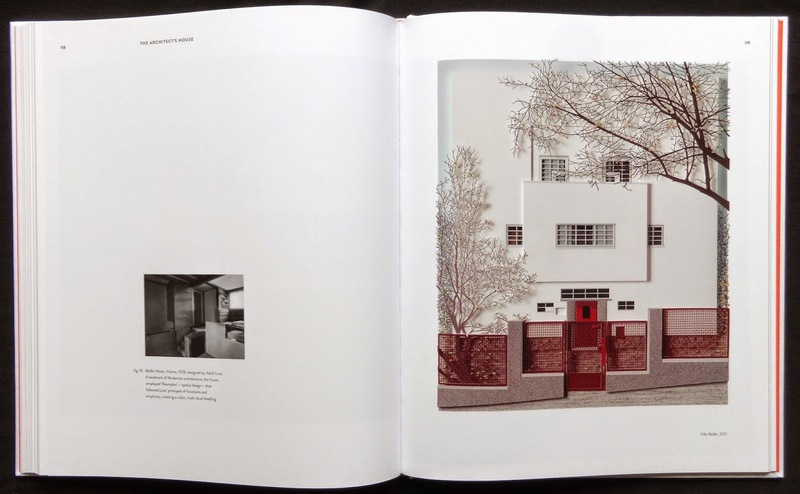 Chapter eight on 'The architect's house' has twelve beautiful creations including a stunning Villa Moller designed by Adolf Loos in 1928. The Williams version is true to the original down to the wire mesh fencing and two trees which have been cut from colored paper including individual leaves. This mixed media on board picture is twenty-one by eighteen inches. 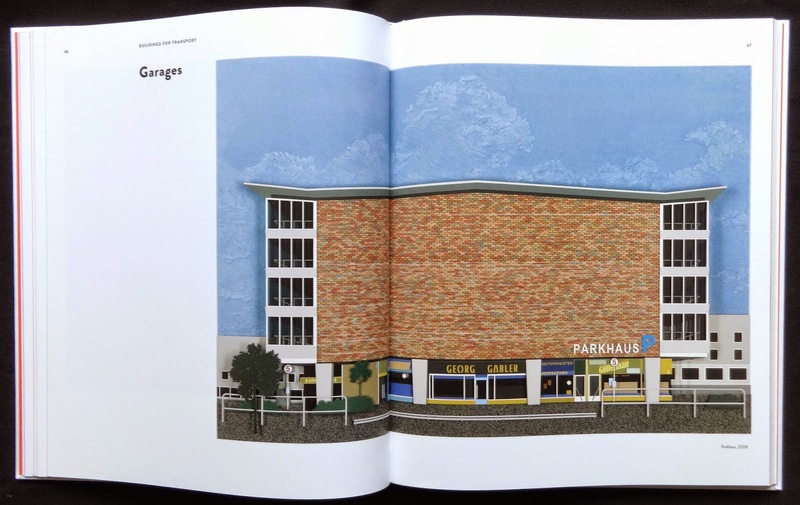 Many of the images feature buildings fully frontal but others show an uncannily accurate perspective, pages seventy-six and seven show Pavilion from 2010 based on an exhibit at the 1958 Brussels World Exposition. The work is semi profile and has some water in front of it and this reflects some of the colorful aspects of the structure but with obviously reduced colour. 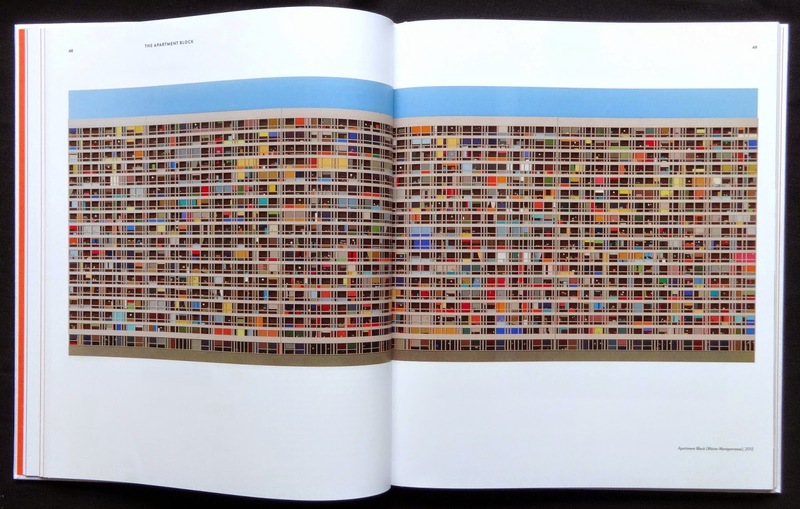 A tour de force is an accurate section of Maine-Montparnasse in Paris designed by Jean Dubuisson, the collage is front-on and just over 106 inches wide with every colorful window (I estimate over a thousand) and concrete strips. 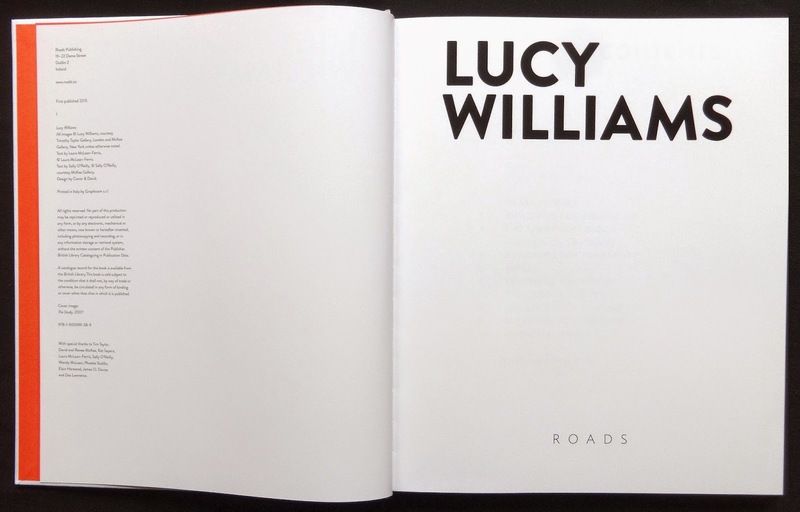 The book has seventy-four works by Lucy Williams. 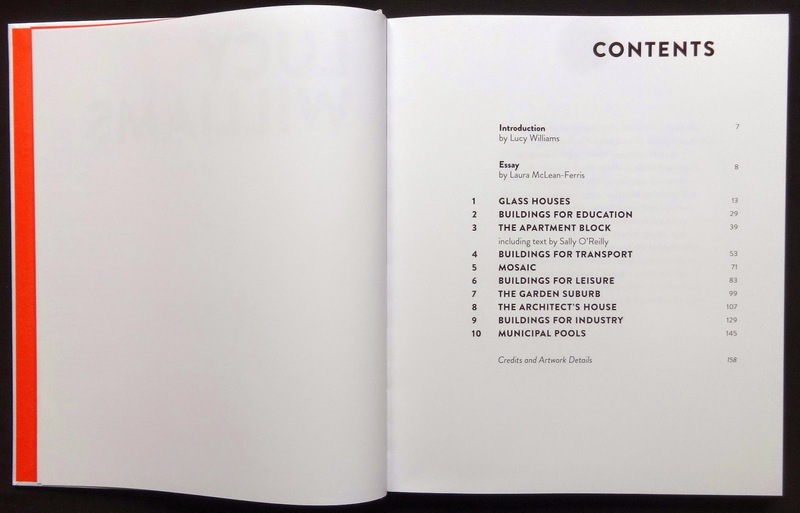 Laura McLean-Ferris introduces the work with a short essay. Missing, I thought, were a few photos of the artist at work, showing how she creates these amazing images. The publisher's website has a very brief video clip of this, well worth a look. The book's designer kept in the two tabs that are at one end of plate film. 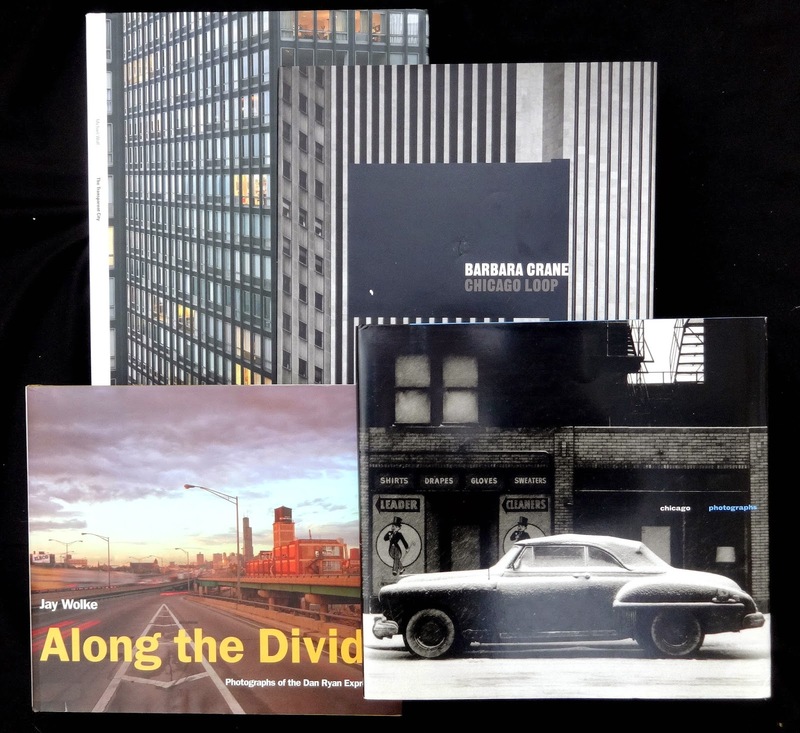 Three other photo books that look at Chicago over recent years. 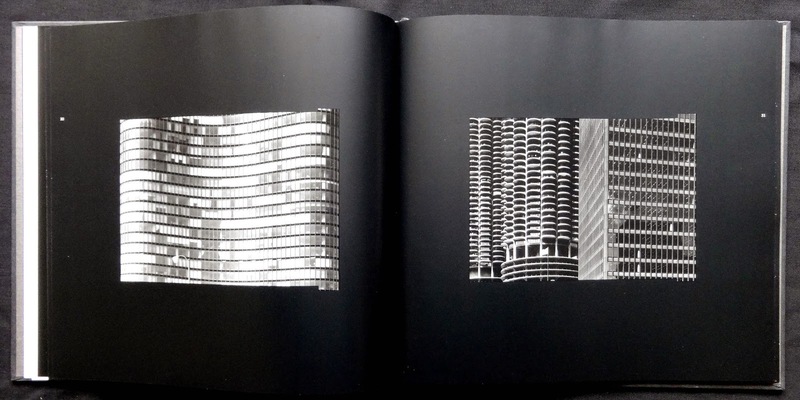 The forty photos in the book are close-ups of buildings, old and new, in the Chicago Loop. Actually they could have been taken in any large American city because the reveal close-up sections of structures rather than the views from sidewalk and up. Barbara Crane took these to capture the texture and tones and using a long lens to compress brickwork and steel and as such I though they worked beautifully. The tight cropping (which removes the sky) and mostly straight on shots really deliver some remarkable patterns of vertical walls, windows, fire-escapes and shadows. 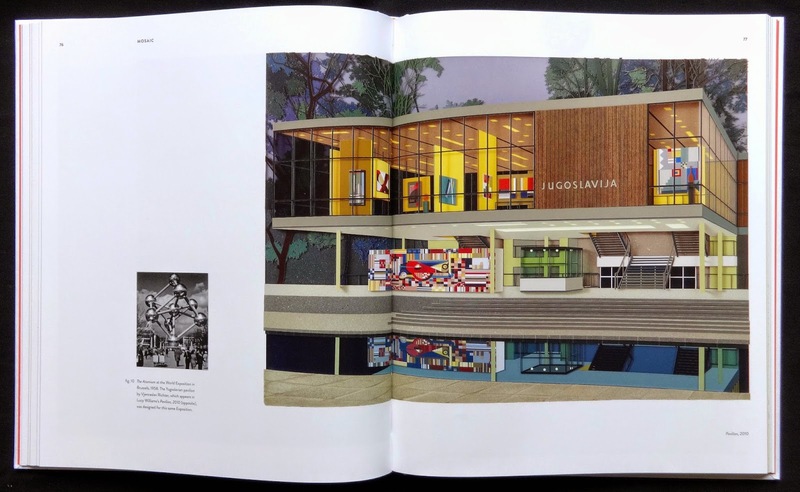 It's unfortunate that despite an excellent print job by Meridian (probably America's best art book printers) and using a three hundred screen I thought the book was hopelessly over designed. The problem is that the photos (6.75 by 4.75 inches) are centred on large black pages which overpower the images so that their quality is dramatically reduced. If the photos were kept at the same size but on a much smaller page the book would have been excellent. There is also a bit of designer whimsy with each photo retaining the small tabs that come at the top of plate film...it adds nothing to the appreciation of the photos in my view. It's a shame that the design spoils great work. 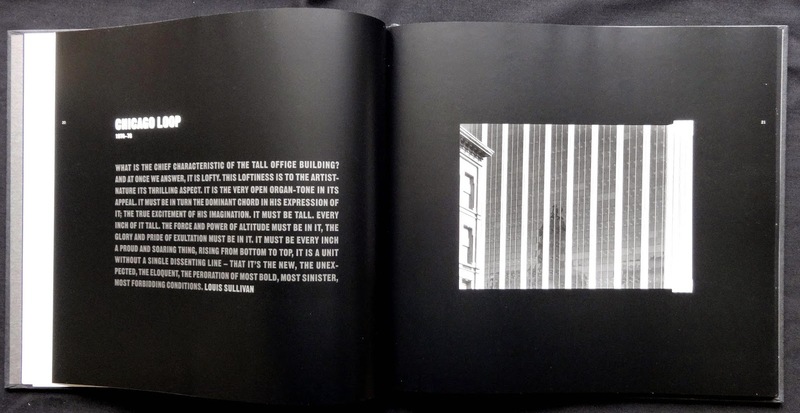 Another fine book of images from the LaSalle Bank Photo Collection published in 2004 looks at the buildings and people of Chicago over several decades and didn't have the design annoyances of Crane's book but rather oddly didn't include one of her photos. 'Comedy movie posters' is the twelfth volume in Bruce Hershenson's excellent movie poster series. I have another book: 'Crime movie posters' and as it's the same format as Comedy so I assume all the books follow the same visual style. The way the pages are poster heavy might not be to everyone's taste but (neatly) cramming them in was the only way to show so many in eighty pages. The posters are for movies from the 1920s to 2000 and it's the ones from the late forties into the fifties that I like with their use of color, illustration and lettering creating an exuberant collage style that was used by all the studios. Into the sixties and seventies the style was a mix of photos and illustration and in the last decade of the century photography was the main visual element. A worthy addition to any movie fan's library. Right the photo in 'Signs' and the original. You can see from the top right original photo how severely the poster has been cropped. 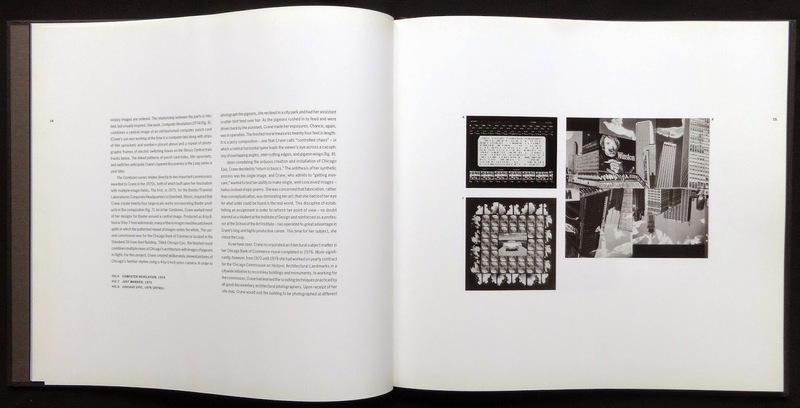 1 The photos are treated as if they were ordinary graphic images so the designer, to create visual interest, has made them different sizes, butted some together into the spine, used black pages with the photos centered, run some off the edges of the page. 2 Perhaps more serious is the small type Technical Note on page ix (I can't think of any reason to use roman numerals for the first nine pages) that says some of the photos have been slightly cropped and a few severely cropped. 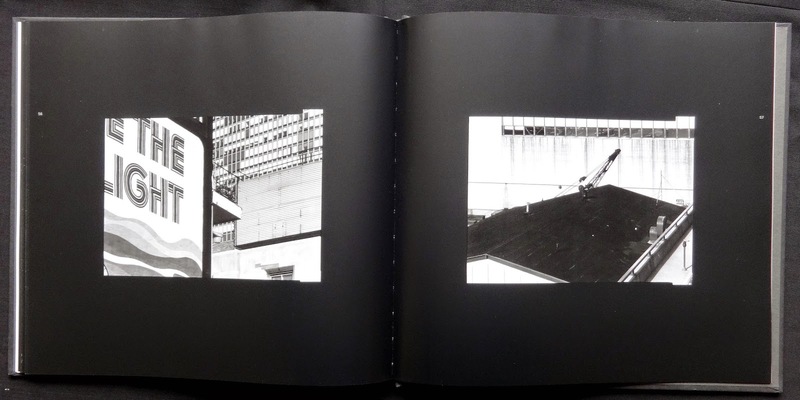 The cropping of the photos seems so unnecessary, if they had all been centered on the page with reasonable margins the reader could enjoy and appreciate these wonderful photos. Rather oddly they are captioned twice, once on the relevant page and again at the back with four pages of thumbnails and brief technical details. The fifty photos reveal Walker Evans love of letters in the environment, especially on buildings though this is a common theme among all well known American commonplace photographers. Evans seems to have searched out the most obscure bits of typography, page thirteen has a photo of some stairs with a repeated sign on each step, page fifteen is a close-up of a female pedestrian holding a newspaper under her arm with just the letters CI and part of a T visible, page thirty-nine shows the interior of a room in a house with TICKETS on a piece of board and it's hanging just above a fireplace. A wonderful selection of photos unfortunately presented in a rather uninspiring way. 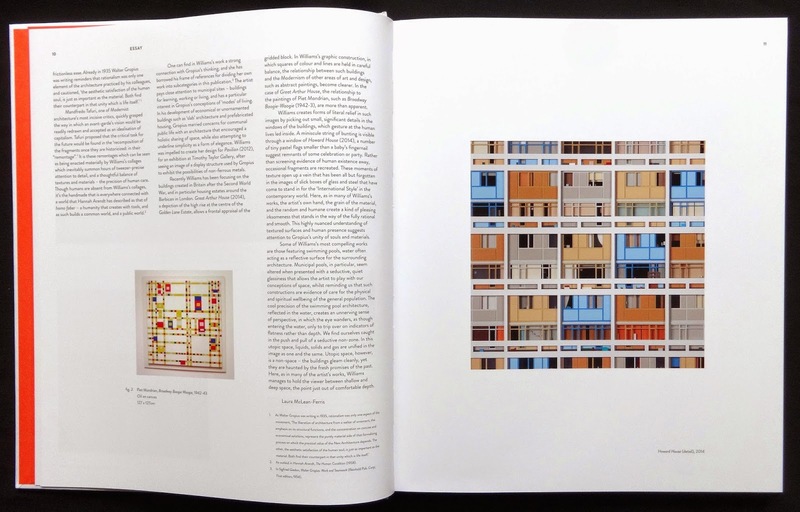 A beautiful two-volume overview of Joel Meyerowitz's contribution to the art of photography. 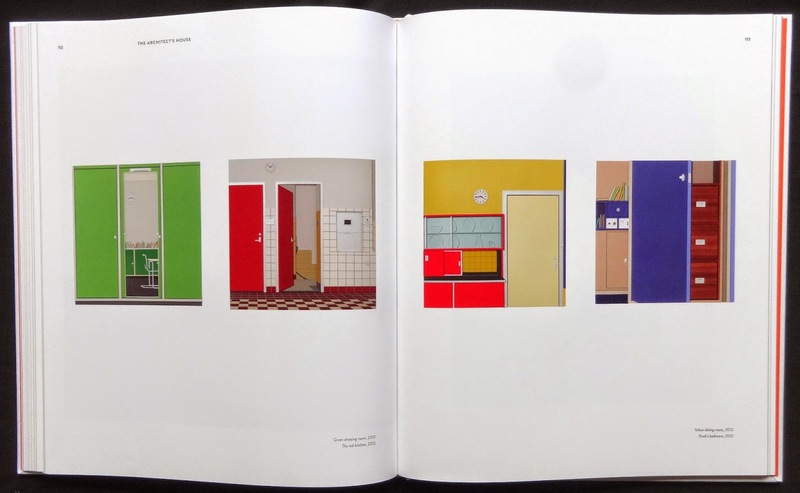 The 680 pages reveal 580 photos (400 in color) covering his work from 1962 to 2011. Apart from the eight page intro by Francesco Zanot all the text is by Meyerowitz, either as an essay with each chapter or deep captions for dozens of individual photos and I thought it's pity that there wasn't more of these because he reveals his interesting thoughts about what caught his eye and why. I thought the selection of photos was excellent, with so many in the two books you might expect to see a few also-rans but no, virtually every picture pulls you into the frame, then you appreciate the subject, composition, color or mono and I found several that just kept me looking and looking before turning the page. 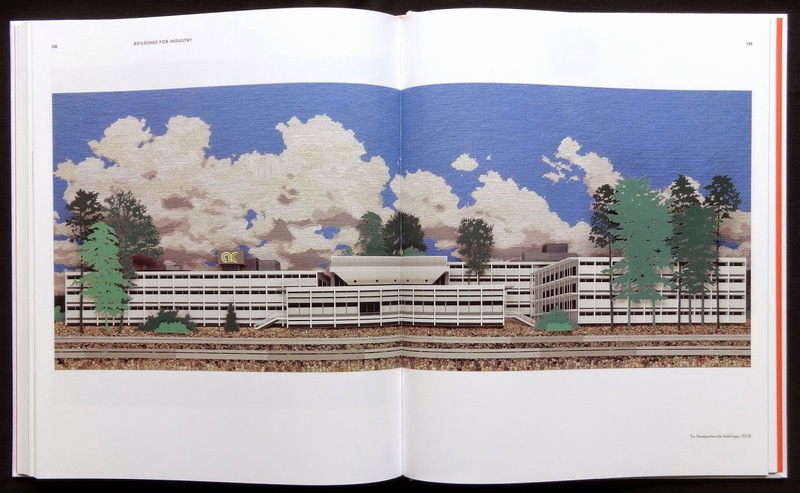 The books have additional material: a twenty-page graphic novel in book two about a car trip Meyerowitz and his pop took from New York to Florida and back, the images are taken from the eighty minute DVD in the back of the book. 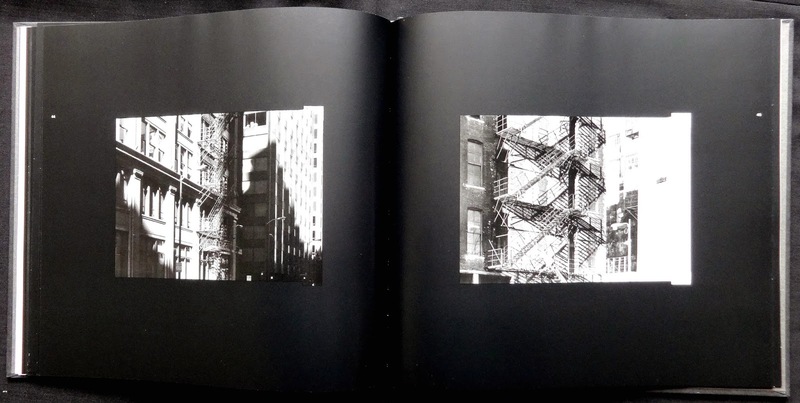 Book one has a fascinating sixteen page landscape insert with six photos presented as color on the left-hand page and virtually the same shot in black and white opposite. Meyerowitz, in his essay, makes a very credible case for the superiority of color over mono images. Inside the back cover of book one there is a fold-out that has a color print signed by the artist (it seems genuine too, not an ink-jet job, he had to do it 1,500 times for this limited edition run). 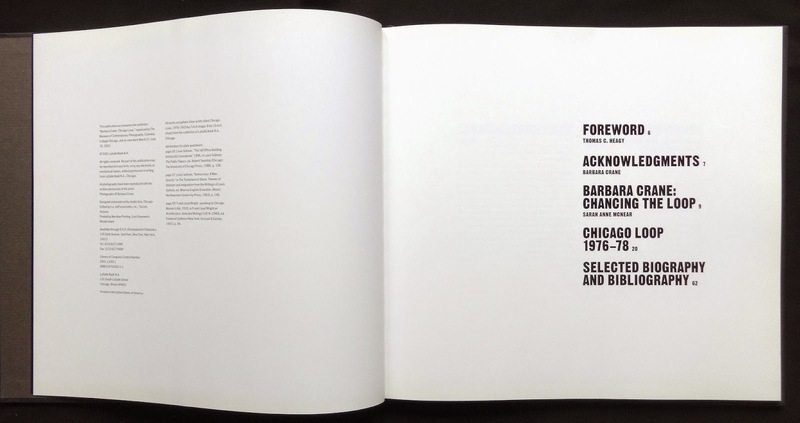 The same image is shown over a spread in the book and raises an interesting point about the book's printing. The screen used by the Chinese printers could be 300 or 350 which is not too far off the quality of the color print. 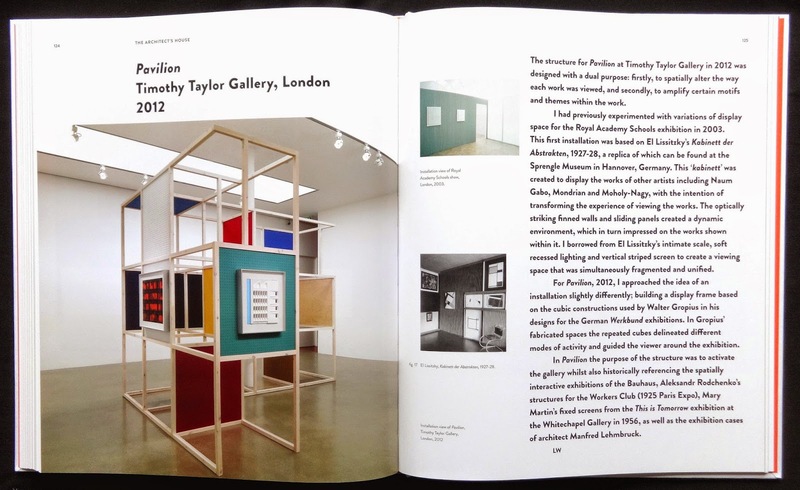 Most art books use a 175 to 200 screen so the printing for 'Taking my time' is very impressive in my view. The quality matt art paper helps, too. I think it's worth commenting on the rather high price of these books, I can't see why they should cost so much (reassuringly expensive?). Steidl have publish several high quality photographer box sets, some with up to five books and none of them cost as much as this Phaidon set.